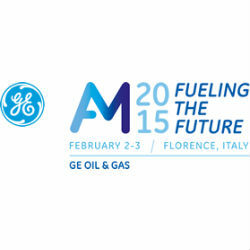 The annual GE Oil & Gas meeting scheduled to take place from February 2-3, 2015 in Florence, Italy will reportedly include a keynote address from the Tanzanian President Jakaya Kikwete. According to Sospeter Muhongo, the Tanzanian Minister for Energy and Minerals, Tanzania’s participation in the GE General Meeting is both an honor and a testament to the international confidence in the Tanzania oil and gas sector. The Annual Meeting is expected to bring more than 900 global leaders together to discuss the future of industry as well as trends that are impacting the oil and gas sector. The agenda is expected to cover topics including Regulating for Economic Development & Sustainable Growth; Technology & Innovation to Maintain Competitiveness; and Cost Management and the Transformation of the Energy Sector. The growing market in Tanzania is positioning the country as a key player in the global industry with new discoveries including 19 exploration blocks and an investment project for exploration and production that is expected to cost between USD 10 and USD 20 billion over the next ten years.